English convert to Christianity; lived in London in the nineteenth century. He published "Songs of Zion," a selection of English and German hymns translated into Hebrew (1834; 2d ed., with additions, 1842). 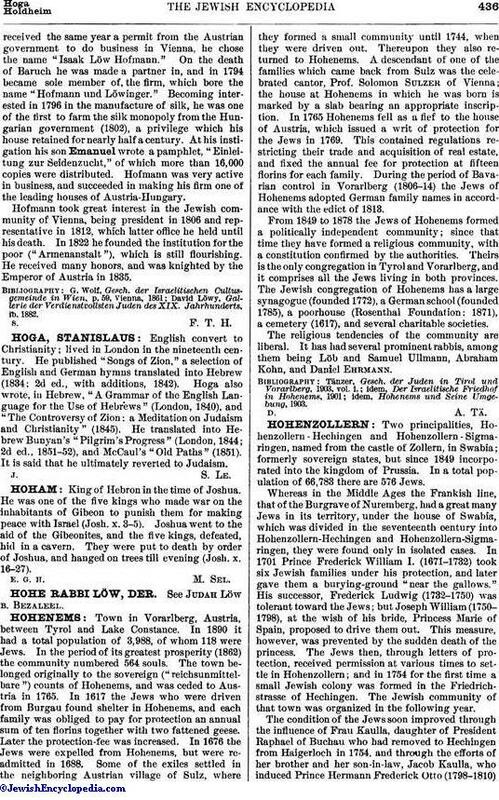 Hoga also wrote, in Hebrew, "A Grammar of the English Language for the Use of Hebrews" (London, 1840), and "The Controversy of Zion: a Meditation on Judaism and Christianity" (1845). He translated into Hebrew Bunyan's "Pilgrim's Progress" (London, 1844; 2d ed., 1851-52), and McCaul's "Old Paths" (1851). It is said that he ultimately reverted to Judaism.